As we kick off another year in Scouting, my PLC spent some time last weekend setting goals for our Troop using the framework of JTE. If you’re unfamiliar with this program or why you should be using it, read this post first. If you’re already following JTE and open to a potential process improvement, take a look at these ideas to see if they might help your PLC set and accomplish goals in 2014. The first idea is what I call the “goal starter”, or a simplified breakdown of the tiny text and meticulous details found in the official JTE scorecard. While those details are great (and necessary) from an adult perspective, they did not work at all in our previous three years of JTE goal setting. Eyes just glazed over as I handed out that official scorecard and attempted to walk my PLC through the goal setting process. It was obvious to me that I needed something much more kid-friendly. I wanted my youth leaders to clearly see the goal, talk about realistic outcomes and then make a decision about each. So when I handed out this goal starter and facilitated a conversation around the same detailed goals at this year’s planning meeting, my PLC was fully engaged and enthusiastically voted on what they wanted to accomplish. We had so much more fun this time around! It made me think of the “game with a purpose” concept that we adult advisors always need to be creative about. This second idea is around tracking progress using a “goal worksheet“. The aim here is to have the PLC fill in the blanks as the Troop does the work throughout the year. More specifically, I wanted every boy to see the connection between what our goals are and how each person in the Troop is helping to accomplish them. We did this last year with awesome results! The worksheet served as a great visual reference throughout the year to see where were and what was left to do. They rallied around boys who were dragging their heels on rank advancement, it focused them on thinking about more service projects, and they constantly saw accomplishment as we filled in the blanks. This was key in helping us achieve Gold for our second time in 2013. Feel free to try these is you think they will help. If not, I’d love to hear what your Troop does around setting goals with JTE. 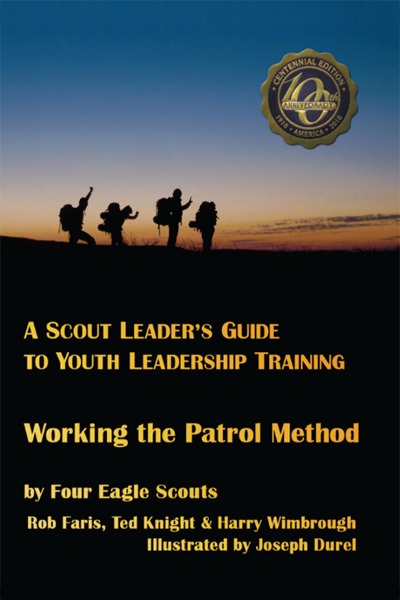 This entry was posted in Journey To Excellence and tagged boy scouts, bsa, goal setting, journey to excellence, jte, patrol leaders council, plc, scorecard. Bookmark the permalink.